Home is where your passwords are! If you want to approach a little bit more to the experience where all of your important data are safely stored in the cloud, I recommend that you check out these 6 applications and give them a try. Don’t be at overwhelm and don’t try them all out at once. Give them a shot one by one, so they seamlessly integrate with your computer experience and don’t create an overwhelm. My bookmarks became quite essential. Some of my data are tied to Google Docs and I make bookmark folders that lead me to the required docs and spreadsheets, thus saving my time. Having these links available on all my devices is life saver. For the purpose of bookmark synchronisation I am using Xmarks. Xmarks is a cross platform bookmark manager that is available for most of the gadgets out there and most of the browsers. There are niffty features of this tool, that deserve article of its own. Now for those who use Apple hardware iCloud as well keeps your bookmarks in sync, but I keep my bookmarks synced between Chrome and Safari, while later on Safari pushes the bookmarks to my iDevices. 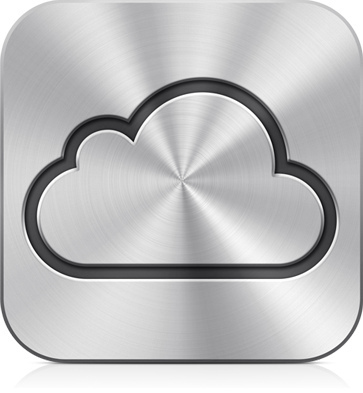 Other benefits of iCloud, apart from bookmarks iCloud syncs your iWork documents, Contacts, Calendar entries, Reminders. It’s the soul behind Apple products, and one of the main reasons why Alpha Efficiency went Apple. With iCloud you can also synchronize your music, know the location of all of your devices, wipe data from them remotely, make them make sounds in case you’ve lost them (even when they are on silent). LastPass is similar in functionallity to Xmarks, although it’s Password manager. I had to break the mind barier of keeping my passwords in the cloud, but they’ve got great reputation and awesome brand, backed up with high end security that is million times better than what you have at home. Basics feature include auto login for your accounts, autofill and password manager. For a bit more advanced needs, there is a password generator and secure notes. It’s backed up with SSL. As the name says, it’s going to be a last password you will have to remember. And best of all is that it works on mobile devices in the form of bookmarklet. You don’t need an extra app for it, web toolkit takes care of everything. You want be able to save passwords on mobile devices, but you will be able to use them, which is more than enough for me. Make sure to set it up properly and use it to the fullest potential. Dropbox is the way to keep your documents in sync! Evernote – I am shamefully recommending Evernote here and there, and this doesn’t make this situation any different. You can find countless articles on the previous link, with tips, tricks and additional downloads. Evernote is surpassing the notion of a software application, it’s moving to the realm of becoming the lifestyle of millions of users. Keeps all my thoughts in sync, so I can access all of my ideas without any friction what so ever. Instapaper – Somehow I don’t find this application of practical use in office environment, but it’s awesome for people who read a lot of online content. Instapaper is amazing and it works well with my other products. It’s integrated with Evernote and OmniFocus, as well as with other social networks. If you haven’t gave Instapaper a go, you should check out tips and tricks on it, that I scattered around on my blog. It’s totally worth your time. All of these tools save me tons of time, energy and never let me forget a single thing! It looks complicated at start, but give yourself some time to acquire these one by one and you will immediately see the results! Make sure that you setup each of these services properly to maximize the gain from the service. Do you already use some of these services? Which one of these services will you implement the first? Share your thoughts in the comments. So much to learn; so little brain left! The only syncing I do at present is with Google for browser, photos, documents, etc. Am I missing something?